Like Brand New Colonial That's Only 6 Years Old. 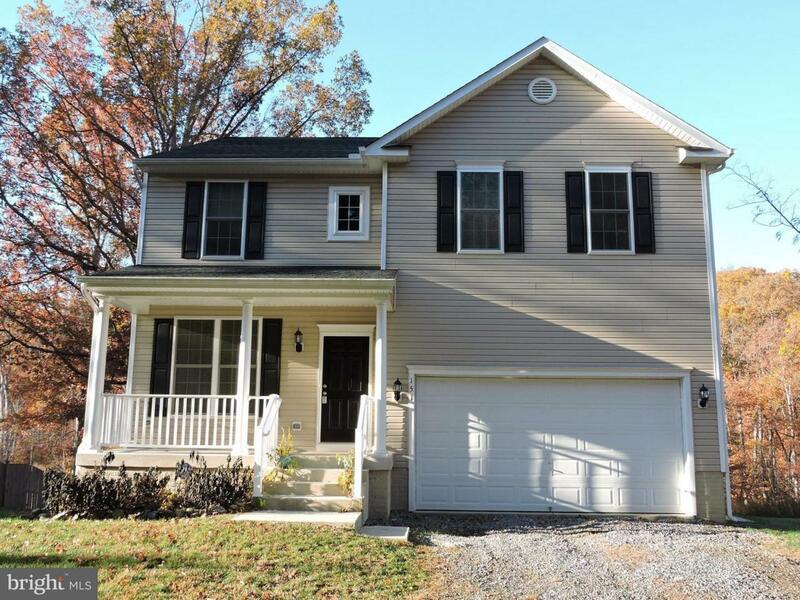 Spacious 4 Bedroom 2.5 Bath With 2-Car Garage. Home Is Situated On (1) Acre Of Land With Mature Trees That Offers Plenty Of Shade. Gleaming Hardwood Floors, Beautiful Columns Adorn The Living Room, Neutral D~cor Throughout, Open Floor Plan With Huge Family Room. Kitchen Is Fully Equipped With Stainless Steel Appliances, Granite Counter Tops And Center Island. Separate Laundry Room With Washer & Dryer (As-Is Condition) Unfinished Basement Offers Lots Of Storage Space! Nice Large Deck Overlooking Fantastic Nature Views & River Stream! Great South Stafford Location, Convenient To Nearby Shopping, Schools, Leeland Road VRE Station, RT1, & I95, Owner Prefers No Pets, But Will Consider 1 Pet Case By Case With $300 Non-Refundable Fee (NO CATS OR SMOKING PERMITTED!) Tenant Pays 1st $100 Deductible For All Service Calls, $50 Application Fee Per Adult & $1,850 Application Deposit. (2 Separate Payments - CASHIER'S CHECKS ONLY - MADE PAYABLE TO BANKS PROPERTY MANAGEMENT & SALES - NO PERSONAL CHECKS OR MONEY ORDERS) Apply & Move April 1, 2019! Listing courtesy of Banks Property Management & Sales.